Internal FAA documents showed that Southwest Airlines made frequent mistakes in calculations and luggage-loading practices that could cause errors when pilots compute their plane’s takeoff weight, according to a WSJ report. 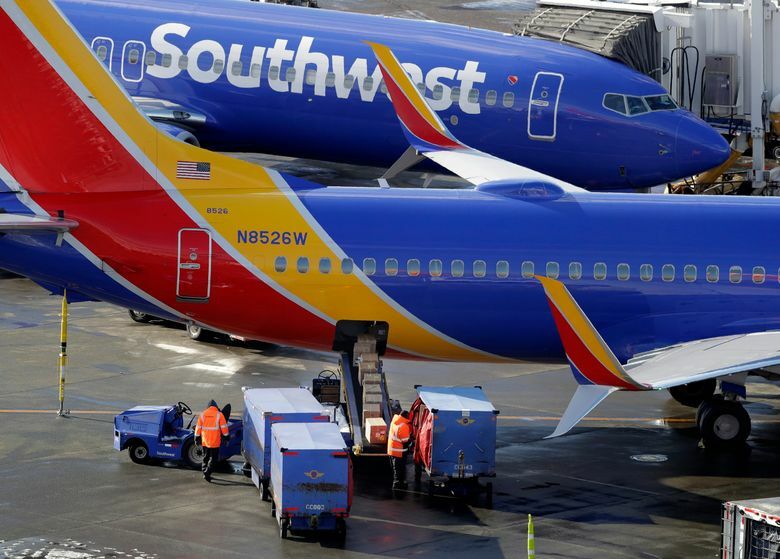 Southwest said Tuesday that it has made improvements in its methods for calculating the weight and balance of loads, and that it isn’t facing enforcement action. The airline said that it voluntarily reported the issue to the Federal Aviation Administration last year. The FAA investigation was first reported by The Wall Street Journal. The newspaper said internal FAA documents showed that the airline made frequent mistakes in calculations and luggage-loading practices that could cause errors when pilots compute their plane’s takeoff weight. Southwest told The Associated Press that ground workers manually count and record how many bags go on each plane. The airline uses FAA-approved average weights for bags and passengers, then adds the actual weight of fuel and freight to calculate each load. Southwest said it also builds in a safety margin. The FAA found cases in which the bag load was more than 1,000 pounds heavier than paperwork indicated, the Journal reported. Safety experts say pilots might respond incorrectly to an engine emergency if they had inaccurate information about the distribution of weight between front and rear cargo bays. Moss said pilots calculate the thrust and wing-flap settings for takeoff based on weight and other factors, and faulty data could lead pilots to put the thrust settings too low. That could be critical if an engine fails while the plane is still climbing, he said. An FAA spokesman told the AP that the agency opened an investigation in February 2018. Since then, he said, the FAA directed the airline to develop a comprehensive fix to the methods and processes it uses to determine baggage weight. Southwest, based in Dallas, asked the agency to close the investigation. The FAA said the agency won’t do so until regulators are satisfied that Southwest’s corrections are being applied consistently. Southwest sought to downplay the investigation, saying that a so-called open letter of investigation is a common way for the FAA to discuss safety issues with an airline. Those changes include face-to-face verification of loading information between employees, controls on revising calculations before takeoff, new software and more training. Southwest said it will begin scanning bags on the tarmac this year to improve accuracy. Other large U.S. airlines already use this technology. Southwest’s contract with bag handlers did not include a provision for using scanners until 2016. The airline then spent time evaluating technology and testing scanners at a few airports. Southwest, which carries more passengers within the United States than any airline, disputed an estimate cited in the Wall Street Journal article that one-third of its flights took off after faulty calculations of the weight of checked bags, but it declined to give a figure. No passenger had died in an accident on Southwest until last April when a piece from a broken engine smashed into a window on the plane and a passenger was partially pulled through it. The accident led to stepped-up inspection of fan blades on certain engines used by Southwest and other carriers. The airline, however, has been fined for safety violations. Notably, Southwest agreed in 2009 to pay $7.5 million to settle FAA allegations that it operated 46 planes without performing required inspections for possible cracks in the planes’ aluminum skin.